Practice with the 'wh' question words. Some exercises to practise questioning. On the first page (template from eslprintables), some reading and a match-up. 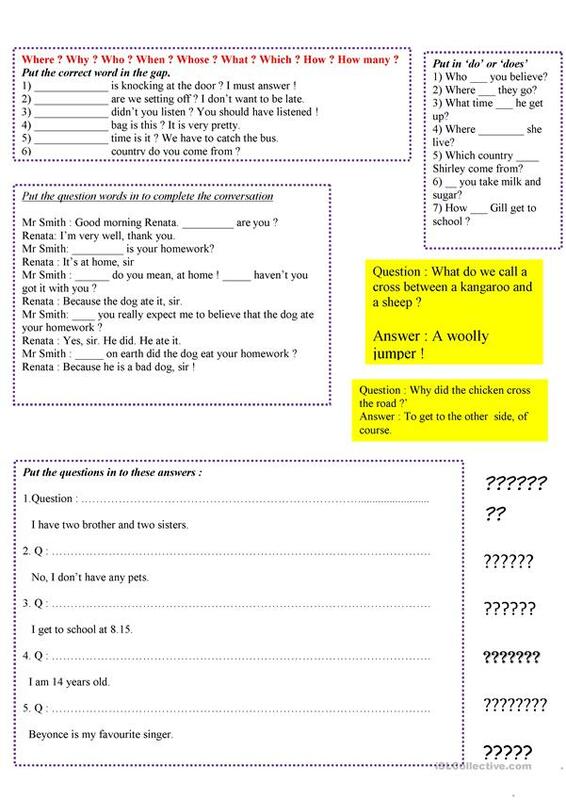 Various exercises on page 2, including supply the missing word to make up the conversation. The present downloadable teaching material is a great resource for high school students and adults at Pre-intermediate (A2) and Intermediate (B1) level. 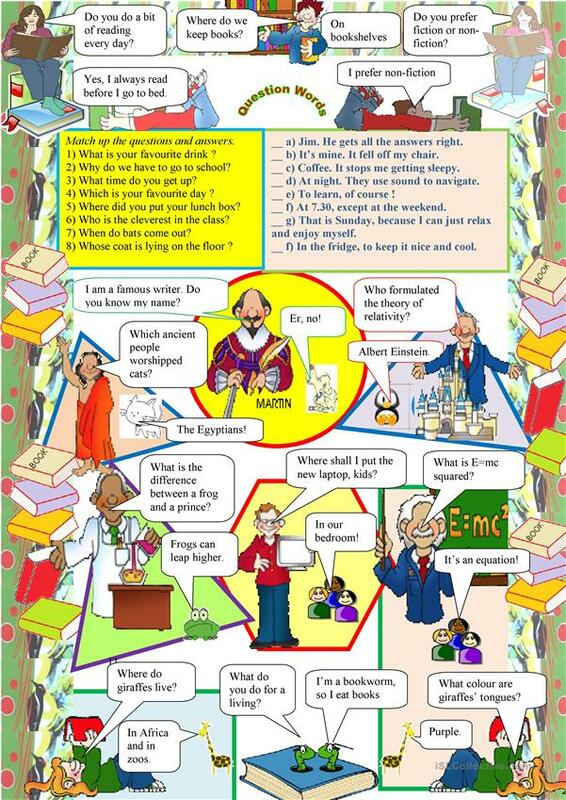 It is aimed at consolidating Question words in English, and is useful for improving your pupils' Reading and Writing skills. It focuses on the topic and words of Ability.